Great cream and sugar set! 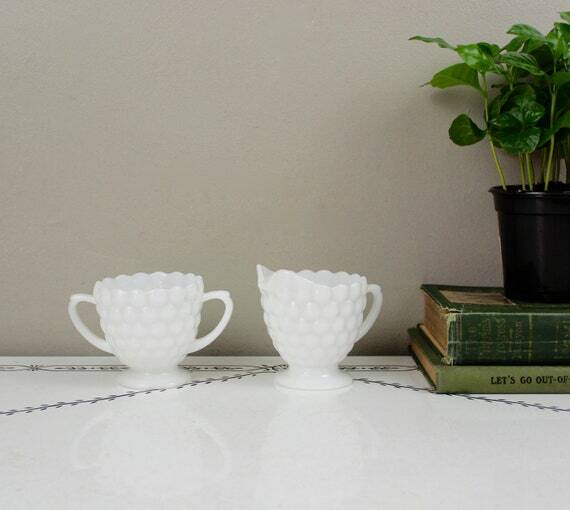 Fantastic milk glass pair. Made by Fire King in the bubble pattern. Classic shape in with a sweet retro bubble pattern. So bright and clean! Set is in great vintage condition with no chips, cracks or scratches. These would look perfect in any kitchen! * We are happy to combine shipping! All shipping overages will be refunded to you!